Home » Online Exhibits » Penn People » Penn People A-Z » Wilson Eyre, Jr.
Wilson Eyre, Jr., was born in Florence, Italy, in 1858 to a Philadelphia family, and did not return to live in the United States until he was eleven years old. Eyre briefly attended M.I.T., but never earned an advanced degree in architecture. He began his architectural career in the Philadelphia office of James Peacock Sims in 1877. After Sims’ death in 1882, Eyre took over the practice and worked independently until 1911, when he formed a partnership with John Gilbert McIlvaine in 1911. He served as president of the Philadelphia chapter of the American Institute of Architects from 1897 until 1902. Eyre quickly became one of the most sought-after architects on the east coast, receiving commissions in Philadelphia, Connecticut, New York, Rhode Island, and Massachusetts. He is best known for his residences, particularly those in the shingle style, but he also designed the fountain in Logan Square and a number of churches, offices, clubhouses, and other public buildings. He was also known for his rendering and sketching techniques, and was the founder and was the first editor of House and Garden magazine. Eyre had a number of connections with the University of Pennsylvania. 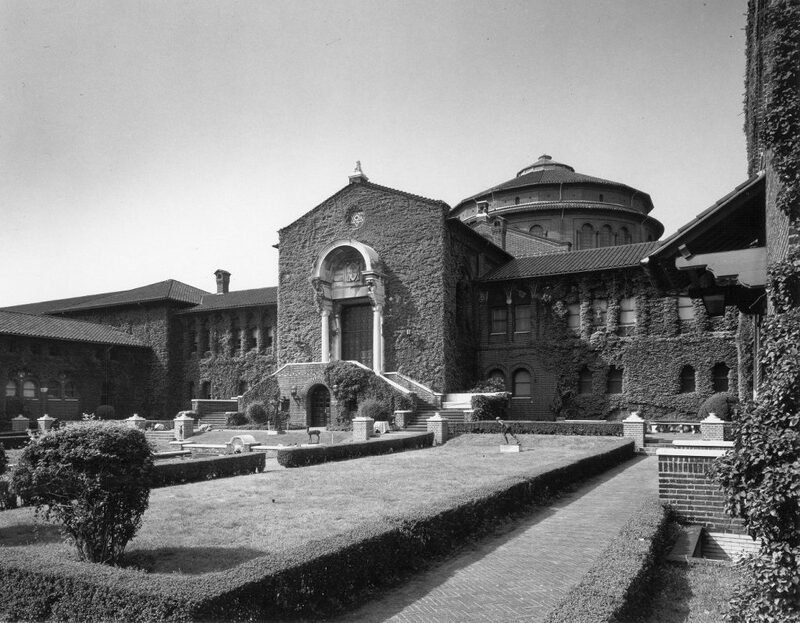 From 1890 to 1894, Eyre taught at the School of Architecture of the University of Pennsylvania, and in 1926, he was awarded the honorary degree of Doctor of Fine Arts (D.F.A.) from the University of Pennsylvania. He was one of the architects of the University Museum, working on the West Court (1893-1899), the Rotunda (1912-1914), and a number of additions and alterations done during the 1920s and 1930s. Eyre also designed the Delta Psi fraternity house located at 32 South 22nd Street, as well as the Mask and Wig clubhouse and theater at 310-312 Quince Street.